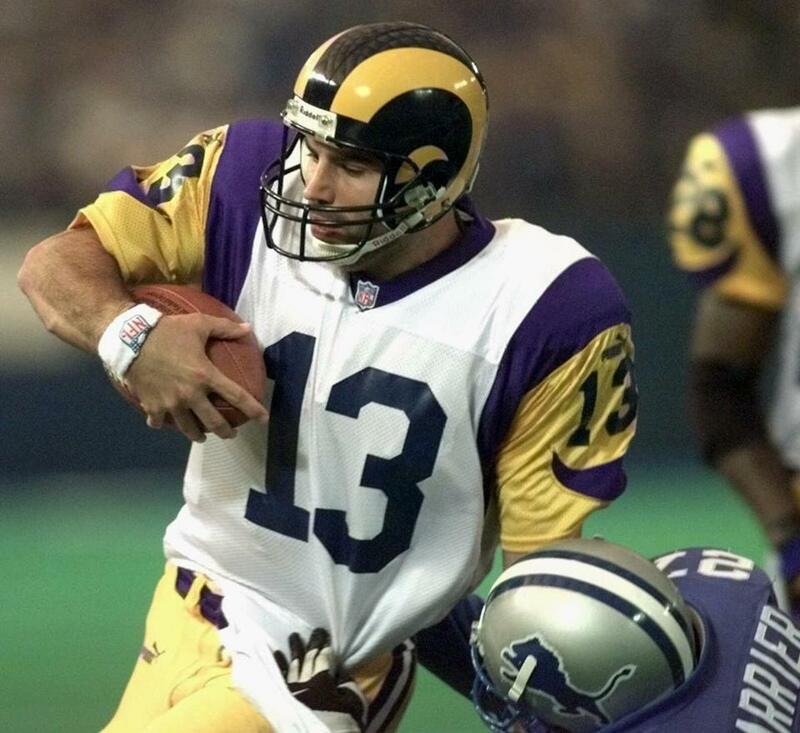 Kurt Warner was one of the many players who benefited from their time in the now-defunct NFL Europe. When Will Middlebrooks isn’t hitting, the Red Sox can send him down to Pawtucket to work out the kinks. When the Bruins sign a top prospect such as Torey Krug, they can stick him in Providence to get some seasoning before calling him up to the big club. But the Patriots and the 31 other NFL teams don’t have those options for their young players. Since NFL Europe folded in 2007, the NFL has been the only one of the four major pro leagues to not have a developmental or minor league system. The Canadian and Arena football leagues serve as refuges for players to make one last-ditch effort to keep their careers alive, but otherwise the opportunities to develop skills in the NFL are few. NFL teams can keep 90 players on their offseason rosters, but only 53 during the regular season plus eight on the practice squad, putting at least 928 players on the street each September with no real options to play. The NFL’s need for a developmental league is now seven years old, but Troy Vincent, the former cornerback and now league’s new head of football operations, has made it a front-burner issue this offseason. He casually mentioned in April about the league’s interest in developing some sort of D-League, and in a month he was flooded with more than 100 proposals. A true developmental league is certainly worth pursuing. If not for NFL Europe, Kurt Warner couldn’t have honed his skills with the Amsterdam Admirals before bursting onto the NFL scene in 1999. Jake Delhomme also played in NFL Europe, and players such as Jeff Garcia and Warren Moon starred in Canada before taking their success to the United States. NFL Europe flopped because it didn’t deliver on two ends — holding minor league competition in markets that didn’t understand football. But it had a lot of value in helping identify and develop late-blossoming players, particularly quarterbacks. The problem, though, is the “making it work” part. NFL owners have talked for years about how to develop talent, but no one has the perfect answer. Creating the traditional “minor league” system for football isn’t easy — the rosters are larger than they are in baseball, hockey, and basketball, and the physical toll of the sport is much greater. An NFL spokesman said any talk of a developmental league is “extremely premature at this point” but has been discussed for years. Several bright minds have brought up some interesting proposals within the last week. Lions president Tom Lewand and former Browns general manager Phil Savage, now the executive director of the Senior Bowl, mentioned setups similar to the Grapefruit and Cactus leagues in Major League Baseball. The developmental leagues would be contained to a few geographic areas to cut down on travel costs — think Florida, Arizona, and Texas — and would only have a handful of teams. No one inside the NFL believes a true minor league system with 32 developmental teams is feasible, but maybe a league with six or eight teams could work. But as one NFL front office source explained, there’s no good time of the year to hold a developmental league. In theory, springtime would be perfect, but teams want the players working out and developing with their coaches at the team facilities, not under someone else’s watch. A call-up system in the fall might be feasible, but part of the point of having a developmental league would be to have healthy, rested players ready to step in and play. And the players wouldn’t be getting instruction from top-notch NFL coaches during the fall. The most reasonable solution, as the source explained, is for the NFL to eventually expand practice squads to 10, 12, or even more players. These players aren’t part of the active roster and can’t play in games, but they practice and work out with the team and are part of the organization, making $6,000 per week. It wouldn’t be a perfect solution — there would still be hundreds of players out of work and the practice squad guys don’t get any game reps — but at least it would give 100 or more players an opportunity to play football and develop their skills. The Redskins actually proposed a rule at the owners’ meetings in March that would expand practice squads from eight to 10 players, but the owners weren’t ready to vote in this change without considering it further. Whatever the solution, it’s not on the immediate horizon. But it’s certainly possible that by the end of the decade, there will be more avenues for players to develop and hone their football skills if they’re not quite ready for the NFL, whether it’s a true D-League or otherwise. ■ Kraft also spoke of a few initiatives to improve the gameday experience. The Patriots are adding three club/lounge/sports bar-type hangouts at Gillette Stadium starting next season to allow fans to watch the game in a more casual environment. And while teams began showing exclusive locker room video on their high-definition scoreboards last year, Kraft expects that to expand. “I believe we will get to the point where each game we will mic up about a half-dozen players from each team and the audio streams from each player unfiltered will come to you only in the stadium,” he said. How much honesty can Gruden expect? Jon Gruden’s five-year tenure as “Monday Night Football’’ analyst always has been a bit awkward. With Gruden’s name annually coming up in NFL coaching searches, how honest are coaches going to be with him about personnel and strategy during pregame production meetings? Well, this year promises to be even more awkward for Gruden now that his brother, Jay Gruden, is the Redskins’ head coach. Jon Gruden got VIP access to the Redskins’ OTA practice on Wednesday, watching with a Redskins visor on his head. If I’m one of the 31 other coaches, I’m worried about Gruden squealing to his brother, and I’m not telling him a thing in production meetings. And the Redskins will play on MNF twice this season. Will Gruden be an analyst or a cheerleader? Speaking of the Redskins, the movement to change the team’s name is picking up a lot of steam. A two-minute commercial denigrating the name aired last week in several cities during the NBA Finals, and Champ Bailey, the team’s first-round pick in 1999, now has come out against the name. Broadcaster Al Michaels said last week that Redskins owner Dan Snyder told him the name will be changed “over my dead body.” Obviously, Snyder believes strongly in the financial value of the name, or he wouldn’t fight this issue so passionately. But he’s going to spend a ton of money and continue to lose public support the more he fights to keep the name. Snyder might as well change the team name to “Redhawks” or “Skins” and be done with it. Good to see former Patriots receiver Donte Stallworth working as a coaching intern with the Ravens this summer as part of the NFL’s minority coaching fellowship program. Stallworth, 33, hasn’t played since 2012, but will work with the Ravens’ receivers during training camp. Other interesting names serving as interns include Sam Madison working with the Ravens, private quarterback coach George Whitfield (who worked with Johnny Manziel) with the 49ers, and Jason Taylor has been helping out the Dolphins’ coaching staff this spring . . . Offseason programs are wrapping up, with seven teams holding their mandatory three-day minicamps last week, and the other 25 holding theirs this week, before teams break for a five-week summer vacation. And it will be interesting to see which, if any, veterans don’t report as they dispute their contracts. The biggest name is Texans receiver Andre Johnson, who has publicly voiced displeasure with Houston’s front office and quarterback situation. Seattle’s Marshawn Lynch and San Francisco’s Vernon Davis and Alex Boone are also holdout candidates. Players can be fined a total of $69,455 for skipping minicamp — $11,575 for missing one day, another $23,150 for missing two, and another $34,730 for missing three . . . As of Friday, only seven of the 32 first-round picks remained unsigned: Jacksonville quarterback Blake Bortles (third), Cleveland cornerback Justin Gilbert (eighth), Titans offensive tackle Taylor Lewan (11th), Cowboys offensive lineman Zack Martin (16th), Miami offensive tackle Ja’Waun James (19th), Cleveland quarterback Manziel (22d), and Patriots defensive lineman Dominique Easley (29th). A source said the Patriots and Easley, coming off a torn ACL, are squabbling over injury protection in the contract, but I wouldn’t expect a holdout from Easley or anything serious. Easley is living in an extended stay hotel in Foxborough and rehabbing with the team . . . Interesting tactic employed by the Rams for the second straight year, signing their 11 draft picks en masse on Thursday, a little more than a month after the draft. The Rams give their rookies a financial education before signing them to their contracts and handing over their bonus money. Now with the Rams inking their players, every draft pick from the fourth-seventh rounds across the league is under contract . . . Proving that the NFL and NFL Players Association can’t miss an opportunity to needle each other, it was funny to see head NFL spokesman Greg Aiello tweet out “Judge, jury & executioner?” in regards to an article about the NFLPA announcing increased discipline for agents in light of bribery accusations lodged against Drew Rosenhaus. The NFLPA has complained for years that commissioner Roger Goodell unfairly serves as “judge, jury, and executioner” in regards to player discipline . . . And we got a good laugh over the prank pulled by Eagles guard Evan Mathis last week, who posted to his Twitter account a “receipt” from Del Frisco’s steakhouse totaling more than $64,000, insinuating that it was part of the team’s rookie hazing. But a closer inspection of the receipt reveals that the first letter of each line spelled out “Rock Paper Scissors Roshambo.” The prank was harmless fun, but if Mathis’s goal was to prove the gullibility of the media, he failed. All he proved was that people aren’t going to trust what comes out of Mathis’s mouth (or keyboard) anymore.